Brig. 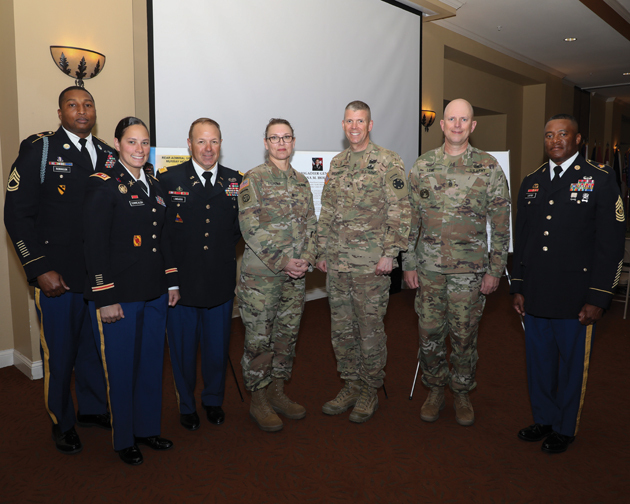 Gen. Kelly A. Fisher is the Land Component Commander of the California Army National Guard and the Deputy Commandant of Reserve Affairs for the United States Army War College. 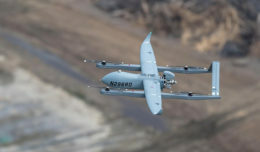 FORT IRWIN, Calif. — Brig. Gen. Kelly Fisher of the California National Guard has served in the military for nearly 39 years and said it didn’t come without its challenges. 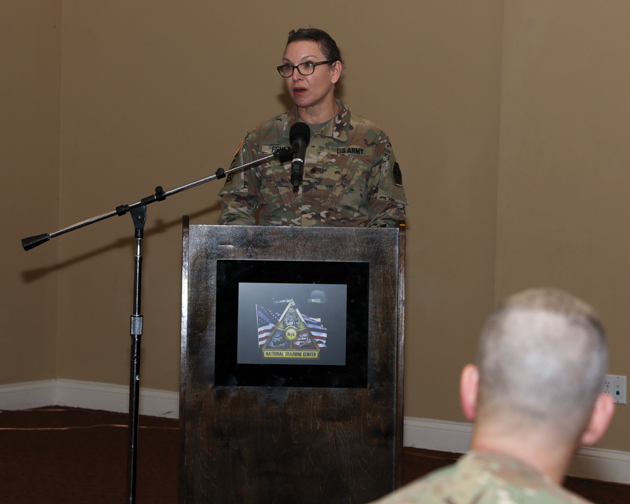 Fisher was the Women’s History Month speaker on March 27 at the Sandy Basin Community Center and said she was denied combat opportunities due to her gender and was also almost denied a deployment after the Sept. 11 attacks, when her battalion executive officer considered her two, young children. Fisher admits she faced adversity but got through it by relying on her grit, developing patience, becoming thick-skinned and being resilient and persistent. “In spite of each obstacle, I found ways to demonstrate my potential to serve as a female,” she said. Fisher is happy to say that more than 174,000 women serve in the U.S. Army today, in every career field. 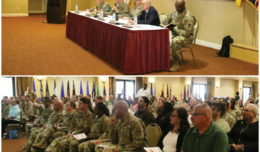 “For the first time in history, the Army has fully-integrated women into all military positions and today, the Army has integrated more than 600, female soldiers into the Infantry, Armor, Fire Support Specialists occupations,” she said. Fisher began her address to the crowd of more than 100 people, by honoring women who have shaped American history through their trailblazing military accomplishments. She spoke of Sarah Emma Edmonds, who served as a man and field nurse during the Civil War; Harriett Tubman, who discovered Confederate positions and helped safely guide slaves to freedom around hidden explosives; and Grace Hopper, who joined the Navy Reserves during World War II and was a pioneer in computer programming. Fisher said her experience in the military as a woman taught her that we live in a complex world, and about the importance of striving to promote peace and a common good. 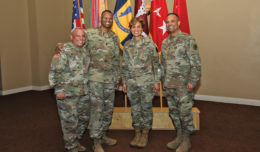 Fisher has achieved many milestones in her 38 years in the force: In the late 1990’s, she was the first woman across all 54 states/territories to serve as a commander of a National Guard Training site; she successfully revitalized the majority of Camp San Luis Obispo infrastructure in under seven years; she upheld two company commands, two battalion commands and two brigade commands; and she’s an accomplished strategist, responsible for shaping policy to grow the maximum possible number of joint qualified National Guard Leaders. She said all of her experience has highlighted a proven principle: “The best solutions to the most vexing and complex problems, come from the most diverse groups of people, with the right blend of vision, persistence and creativity—not necessarily the smartest or the most talented people, but a diverse blend of capable women and men, with a variety of perspectives and backgrounds that possess grit,” Fisher said. What she’s most proud of is being able to mentor and coach young leaders and enable them to achieve their potential. Fisher is inspired by the transformation she said she’s seeing that is making the military better. Fisher said Women’s History Month stands as a reminder of the power of a high-quality, diverse and all-volunteer military.